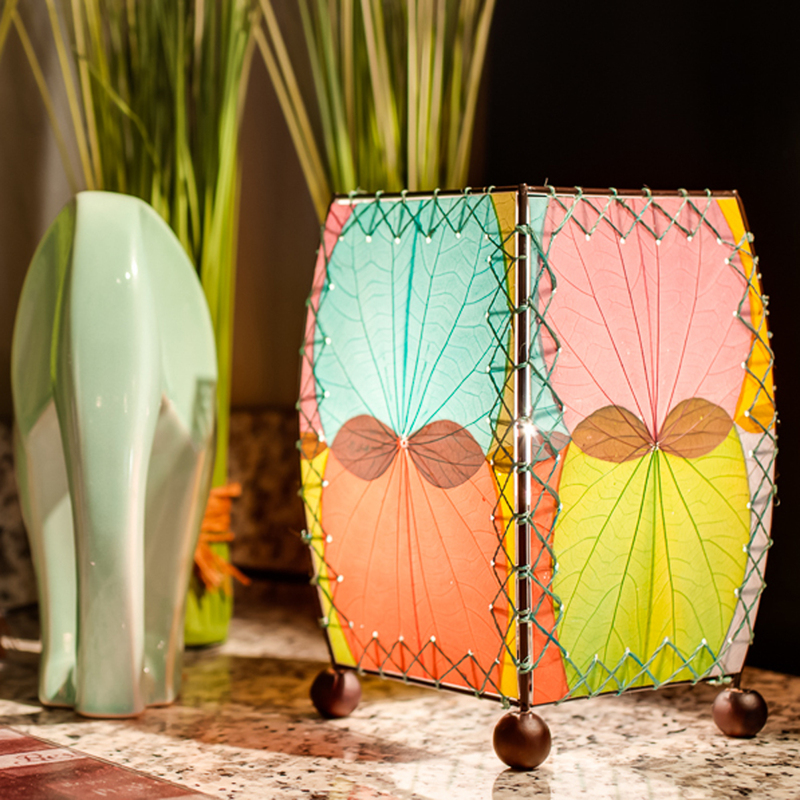 The Mini Series is small enough to fit in virtually any location including nightstands, counter tops or even nestled on a bookshelf. 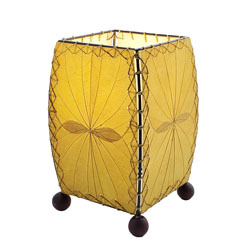 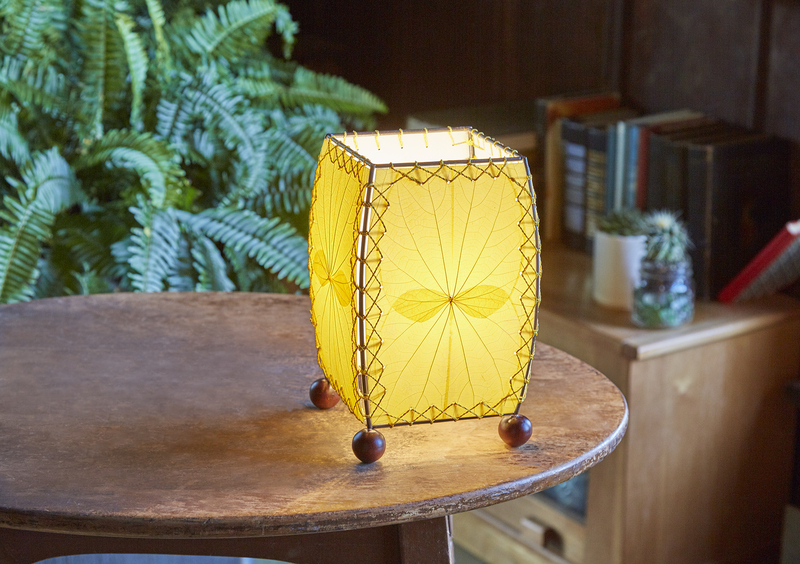 The lamp highlights the patterns of the beautifully placed, overlapping alibangbang (known as 'butterfly') leaves while the open top allows an ample amount of light to escape. 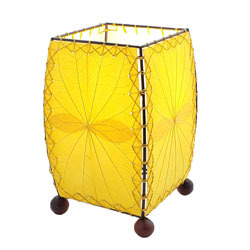 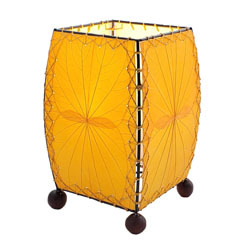 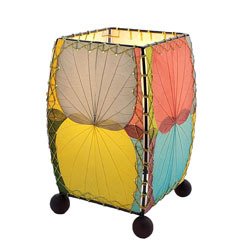 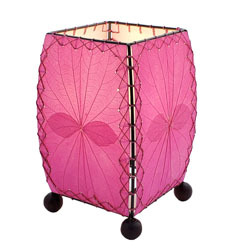 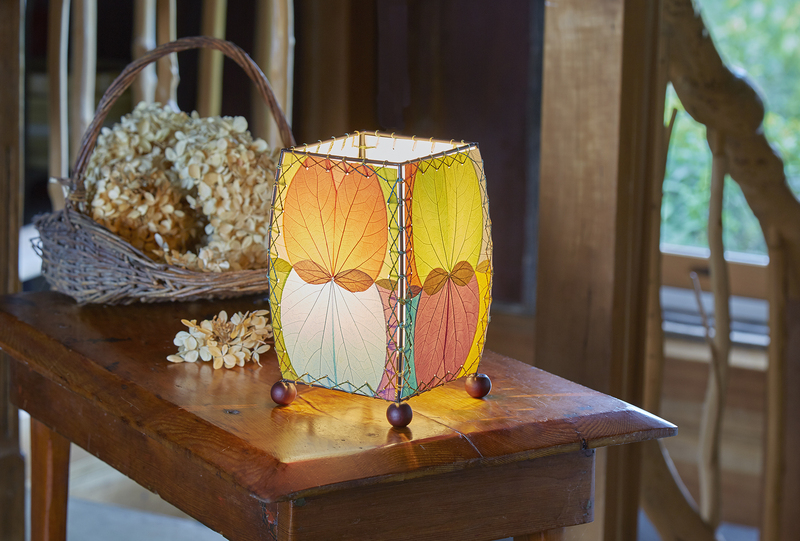 The bright colors of the lamp provide the perfect accent lighting for any room's decor. 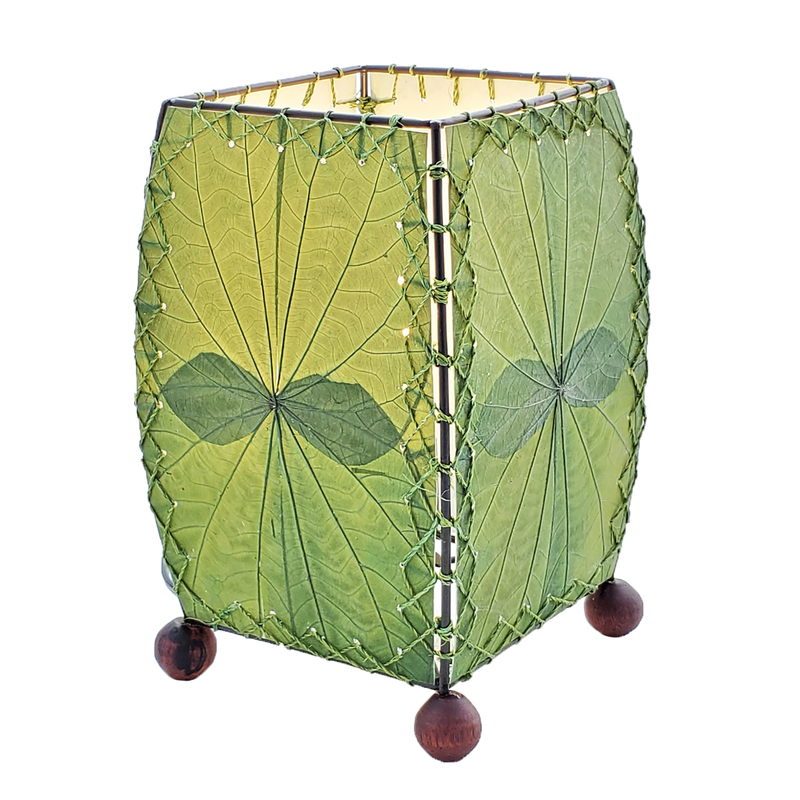 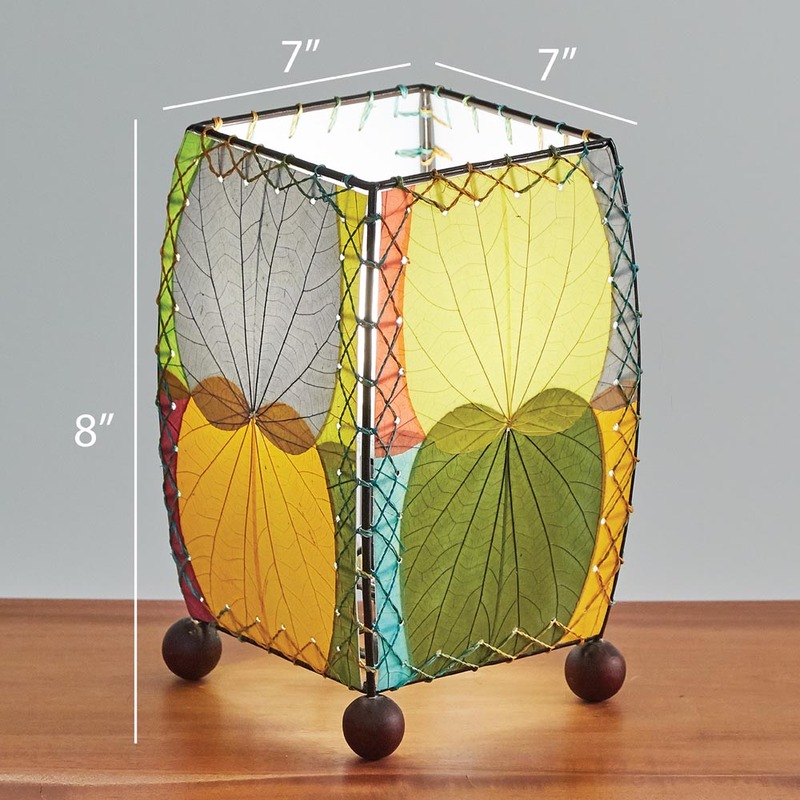 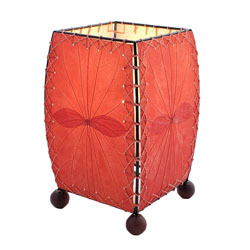 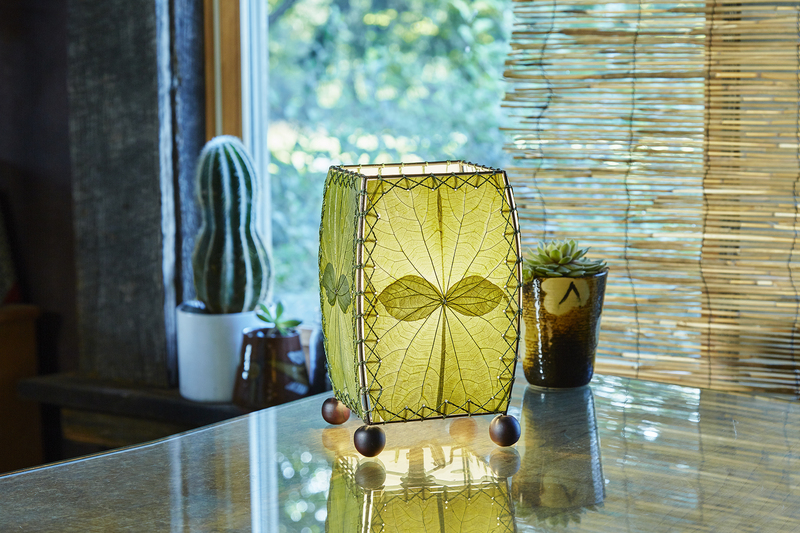 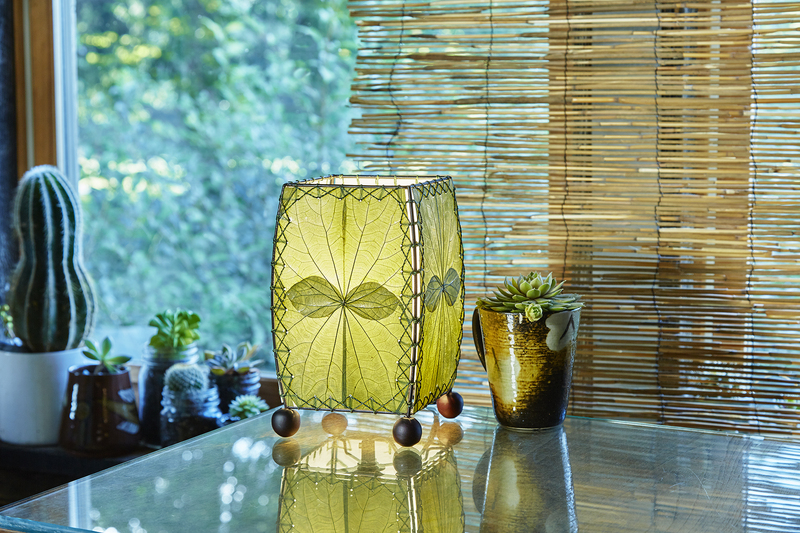 Features fossilized alibangbang leaves that are hand placed on a standard UL lamp backing and then laminated using a non-toxic adhesive, creating each of the four sides of the lamp. 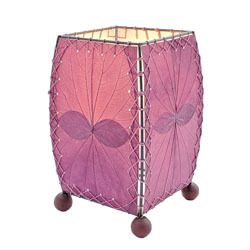 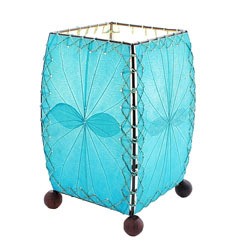 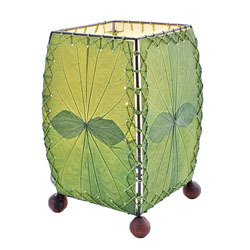 The panels are handstitched onto a powder coated, wrought iron frame to form a rectangular design. 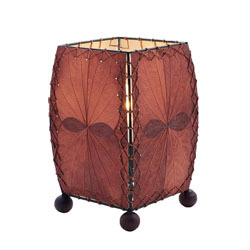 The entire lamp is set on wooden finials.